There is a never ending list of things that must be purchased for a wedding or DIYed if you're feeling ambitious. In the same respect, there is a plethora of things you are likely to forget to buy until the last minute. Here is a short list of those forgotten items. A Board for Table Assignments: You've probably remembered the importance of those cute little table numbers and place cards, but you may have forgotten about a place to put a list of table assignments. 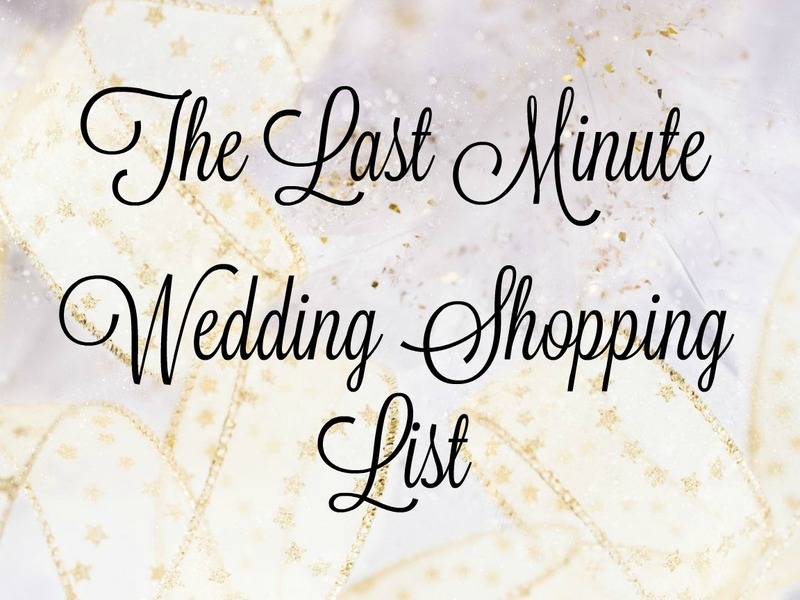 Unless you want your guests roaming around aimlessly for the first 30 minutes of your reception, its best to create a list to be viewed during cocktail hour. It allows everyone to easily find their seat and keeps your big entrance from being delayed. There are a lot of creative options for displaying your seating chart and it's a quick and easy DIY. Reserved Signs: Believe it or not many of your guests will not be aware of proper etiquette when seating themselves at your wedding ceremony. Unless you have ushers for every guest you will want reserved signs for the first 2 rows of seating. Photo Prints and Frames: You paid a lot for that engagement photo shoot. Don't let those photos die with your save the dates. Purchase large prints of your favorite pictures and have them framed for display at the wedding. They can be reused as décor in the home as well. Champagne Flutes: Depending on your venue and caterer you may need to purchase champagne flutes. Some catering packages do not include champagne, but you'll still want something for specifically for you and your groom (or bride). If you're having a rustic wedding mason jars are a fun alternative or you can get customized flutes on Etsy. Card Box: Wedding cards are best known for their contents... cash. Unfortunately, they are easy to lose and tempting for that rogue guest to run off with (yea, that actually happens). You'll want to have a place for all your cards so that nothing gets left behind at the venue. Toiletries: If you are lucky enough to have a bridal suite you will want to purchase extra toiletries. This includes, but is not limited to body wash, body spray, hair spray, dry shampoo, eye drops, makeup wipes, chapstick, tampons, and more! Anything that your bridal party may need during the getting ready process. What's the craziest thing you or someone you know forgot to get for their wedding?